You need this touch stylus pen, it will make you satisfied. -It's a durable fine point pens with 2.0mm soft rubber tip accurate stylus, handwriting and drawing naturally on all touch screen devices. -It fits for iPad Pro, iPhones, iPods, Kindles, Samsung Galaxy, Tablets and touch screen laptops. -Its easy to use just press the button and the light flashed,then you can use it. -No need to pair with app. Press it again, it will turn it off to save power. -Length: 6.3inch measured from tip to cap, Diameter: 0.38inch, Pen Tip is thin as 2.0mm (0.07inch). Using Time: About 7 hours normal writing. Tips: If the writing is not smooth, please unscrew the pen and check the silicone or spring to see if it is loose and then screw it into the tip. Generally it can be solved. SMART POWER SAVING: The pen will shut off automatically after 3 minutes when you without any writing on capacitive touch panel to better save power and prolong the playing time. WIDE COMPATIBILITY: The light switch pen compatible with all capacitive touch screen devices, including iPad Pro, iPhones, iPods, Kindles, Samsung Galaxy, Tablets and touch screen laptops. 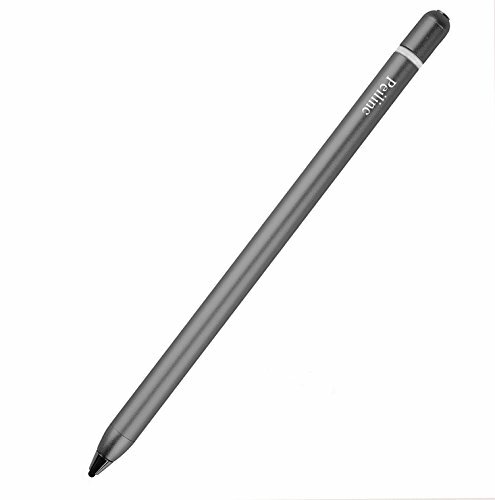 INNOVATIVE TECHNOLOGY: The styli point pen with Xstar X1 chip and innovative iPens smart core chip technologies for provide you comfortable and ultimate writing experience anytime and anywhere. If you have any questions about this product by Peilinc, contact us by completing and submitting the form below. If you are looking for a specif part number, please include it with your message.